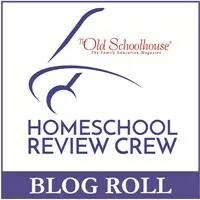 No-Nonsense Algebra From Math Essentials: Our Review | My Journeys Through Life . . . Herding Cats In New Mexico! ← Please! Vote In Your Local Elections Always! You know, I have pretty much ALWAYS had a hate/hate relationship with math, something I have tried very hard to keep from passing on to my children. When this review came along, at first I really, really did not want it. Not at all. HOWEVER, after filling out my interest form (OK, let’s be honest, my LACK of interest form), I found out that when kids are getting ready for their ACT and SAT tests for College, it was suggested that this book is a good one for them to review Algebra, as that is something that is definitely tested. I was given to understand that the further one is away from Algebra, the less proficient they become. 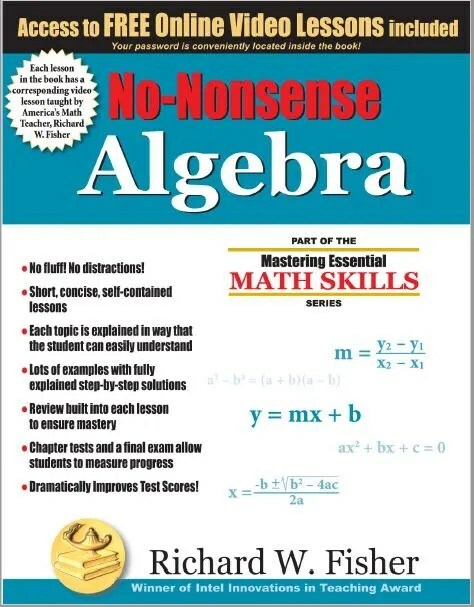 I also discovered that the book No-Nonsense Algebra from Math Essentials has, in fact, been used quite successfully as a good review before taking these tests. So, I went back and redid my interest level so that hopefully, we would be blessed enough to receive it for “The Artist” to use. And we were indeed so blessed in that regard! Another thing which I feel is helpful, especially for “The Artist,” is the access to free online video lessons, which are available for each lesson in the book. Now, at first, “The Artist” did NOT take advantage of the video lessons, saying “Mom, I don’t need them, I KNOW how to do this stuff!” Of course, he slammed into a wall pretty quick and I convinced him to give the video lessons a try. In doing this, he discovered that he learns best with a combination of viewing and hearing the lesson, along with the written lessons in the book. A little while later though, he hit another wall, when it came to working on positive and negative fractions. He was really getting upset, even with the video lesson, and I was busy writing another review, so I finally told him to set it aside for a little while then to look at it again. He did do that, without me realizing it. What happened? He screamed “I got it!” and about scared me right out of my desk chair! LOL! One of the best things about No-Nonsense Algebra as far as “The Artist” is concerned, is that the lessons are fairly short, and the video lessons explain things quite well. Beyond this, there is a final review, a glossary, pages of important formulas, important symbols, the multiplication table, commonly used prime numbers, squares and square roots, fraction/decimal equivalents, access to the online video lessons, and the solutions section for checking the work. I am going to recommend this book. At the price of only $28.95, this would be a good choice whether you have a student studying for his or her ACT and SAT, or you simply have a student who is ready to learn Algebra.